In 1998 I got the gig to direct a new TV series of Captain Pugwash. This was an honour. Pugwash was a character I’d known since I was a child. I’d watched the originals on TV in the sixties. I met John Ryan, the creator of Pugwash and his crew. He was very supportive, giving his blessing to the creation of new characters and updating the world of Pugwash to more contemporary social norms. It was a huge amount of work. 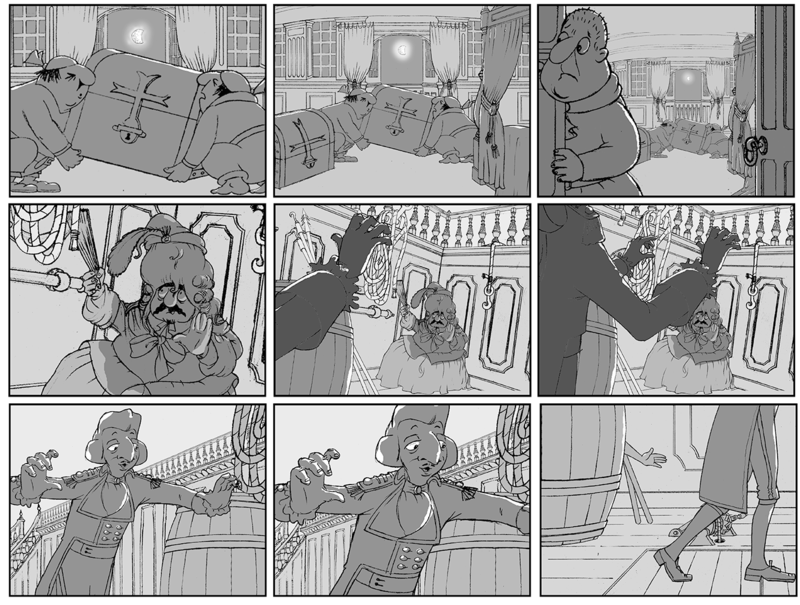 Pre-production happened in London, but it made economic sense to do the animation at Cartoon Produccion S.L. in Valencia. I travelled back and forth for over a year. Hit Entertainment was the distributor. We made 26 episodes, winning the 1999 PACT/Carlton Best Animation Award. 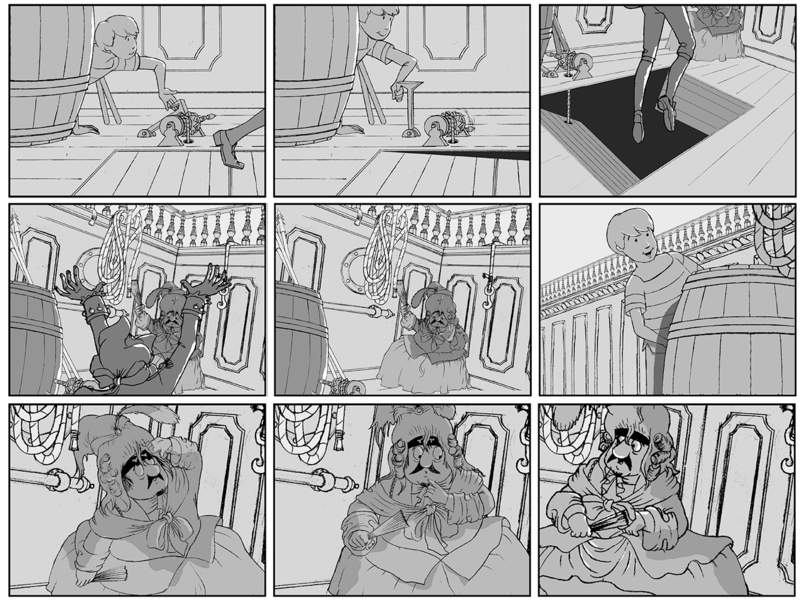 Here are some clips from the episodes (sorry about the quality… it’s like that on the DVD!). 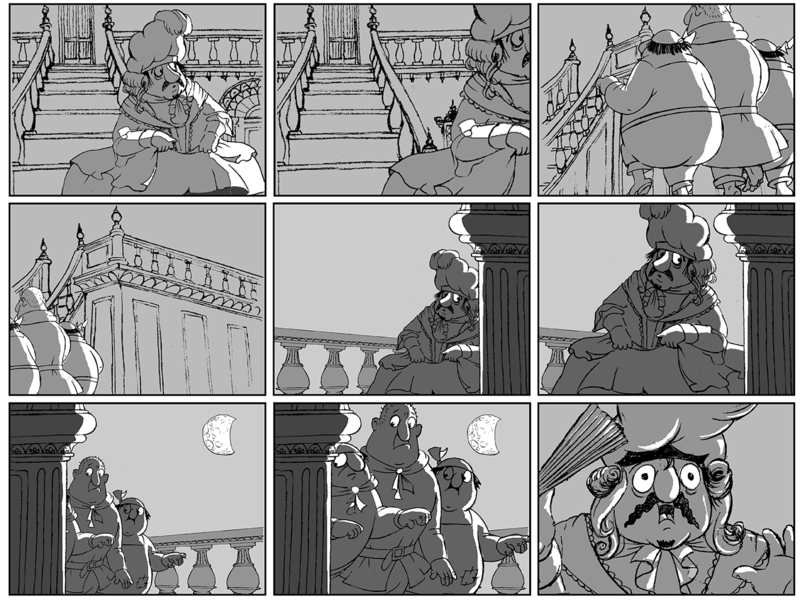 Plus an example of how a character is developed so a team of animators can draw it with consistency. 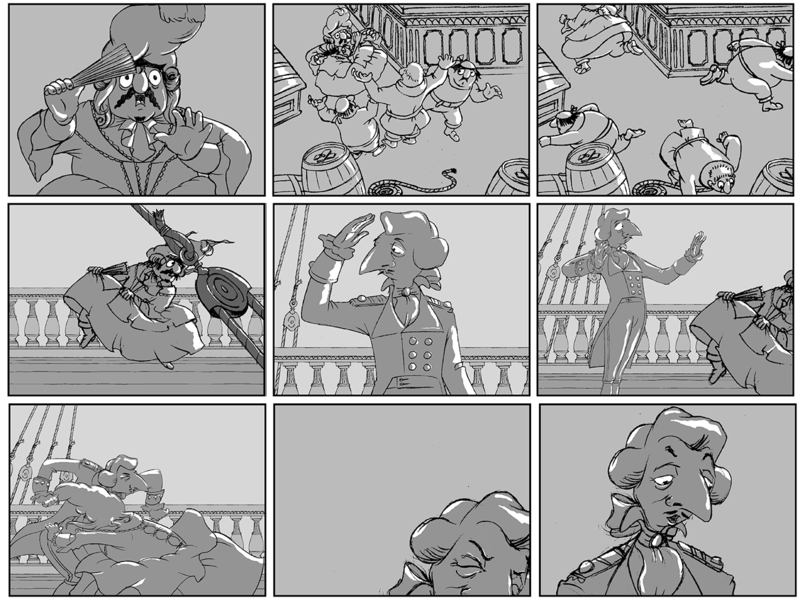 And a bunch of other characters that I designed to populate Pugwash’s world. 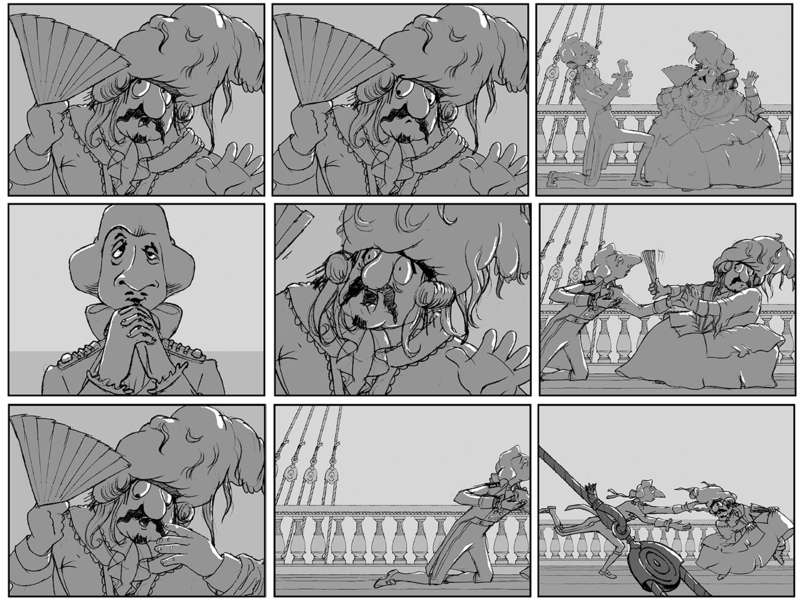 A storyboard sequence in which Alonzo mistakes Pugwash for an opera diva. As usual Tom saves the day (or night in this case).